The most popular rigid and soft hulls are shown below, but there are other choices for larger and commercial dinghies - all available from Mercury. For lots more information on some of the best quality dinghies available please choose the links below. Pricing and information on availability are always at your finger tips from Marine Power Solutions at 246-435-8127 or email us using the link below. 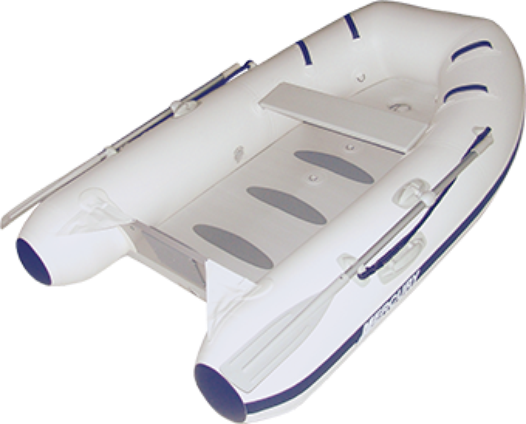 These dinghies are excellent value for money and also come with their own seat, a double action pump and a repair kit. These general-purpose boats offer the lightweight ease of transport with the body-pleasing feel of an air-filled floor-soft enough to give up to five people a stable deck surface. These maneuverable boats boast a roomy interior, ready for ship-to-shore use or for regular family outings. Transport has never been easier-with no floor boards, Air Deck boats can be stowed most anywhere. Take the fun of boating wherever you go. 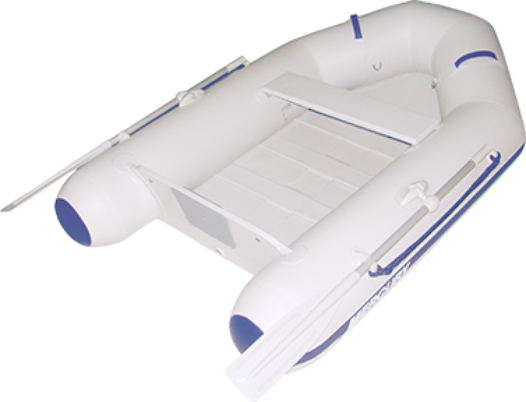 Mercury Air Deck boats are the perfect complement to your outdoor lifestyle. 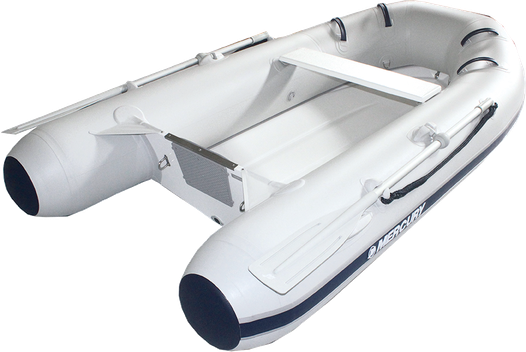 Compact and lightweight, this economical inflatable boat is ideal as a ship-to-shore tender. The Roll Up is also great for the family on the go. Bring your boat with you to the lake, the beach or wherever! With a set-up time of just minutes, no trailer and no special equipment, this boat will allow easy access to some of those places you’ve only seen from the shore. Compact, lightweight, economical. With quick and easy assembly and slat floorboards for extra stability. The Roll Up is an ideal ship-to-shore tender.